An orange orchard at Lindcove Research & Extension Center. 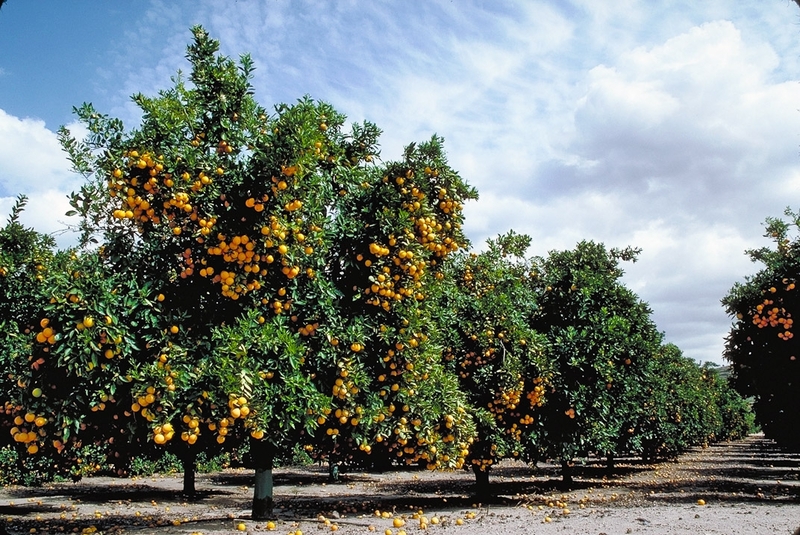 The 2018 Farm Bill provides grants for citrus research. The House and Senate have passed the compromise Farm Bill, sending the legislation to the president for his signature. Capital Public Radio's Julia Mitric asked Glenda Humiston, UC vice president for agriculture and natural resources, what the Farm Bill holds for UC ANR and California. "What's fascinating about the Farm Bill is, after all that hyper-partisan debate … it's really a lot of the same of what we already had," said Humiston, adding that it includes an increase of $25 million a year for research on specialty crops. That's good news for California growers because nearly all of California's 400 crops are considered specialty crops in federal parlance and over 50 percent of the nation's fruits and vegetables are grown in California. Those federal grants will cover many areas, from developing climate-resilient farming practices to combating California's many invasive pests, Humiston said. The Farm Bill removed hemp from the definition of a controlled substance, which will allow it once again be produced for agricultural purposes. This is exciting for UC Cooperative Extension researchers who are interested in helping farmers manage and grow this new crop. Reauthorization of the Farm Bill is important to UC because it provides critical support for the nation's land-grant institutions, including agricultural research extension and infrastructure programs and nutrition education programs. Overall, the final version of the Farm Bill represents a positive outcome for UC. In addition to specialty crop research, the bill contains strong support for organic agriculture research and also includes helpful provisions to address unnecessary regulatory burdens faced by researchers. The bill also preserves the competitive grants for citrus research.